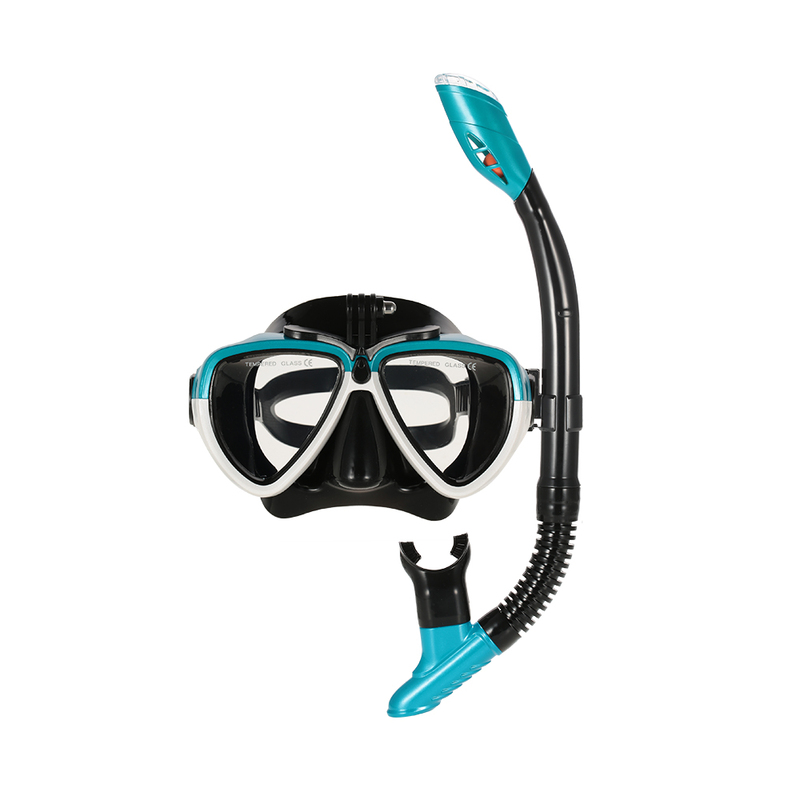 This set includes a dry snorkel, a well-built two-window mask, and a carrying bag. 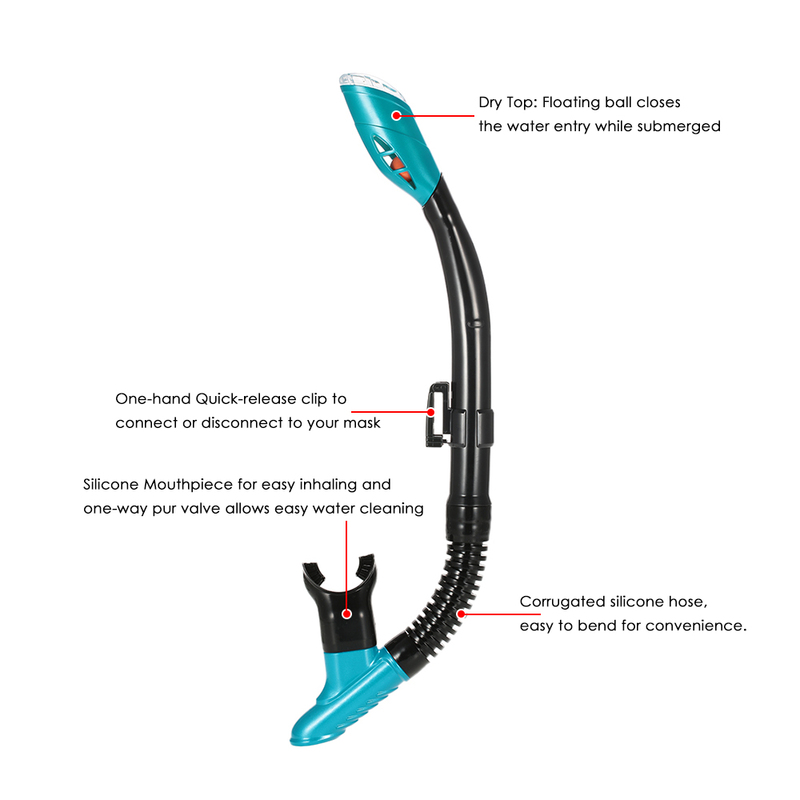 The snorkel with the dry top which closes the entry while submerged to minimize the water entry. 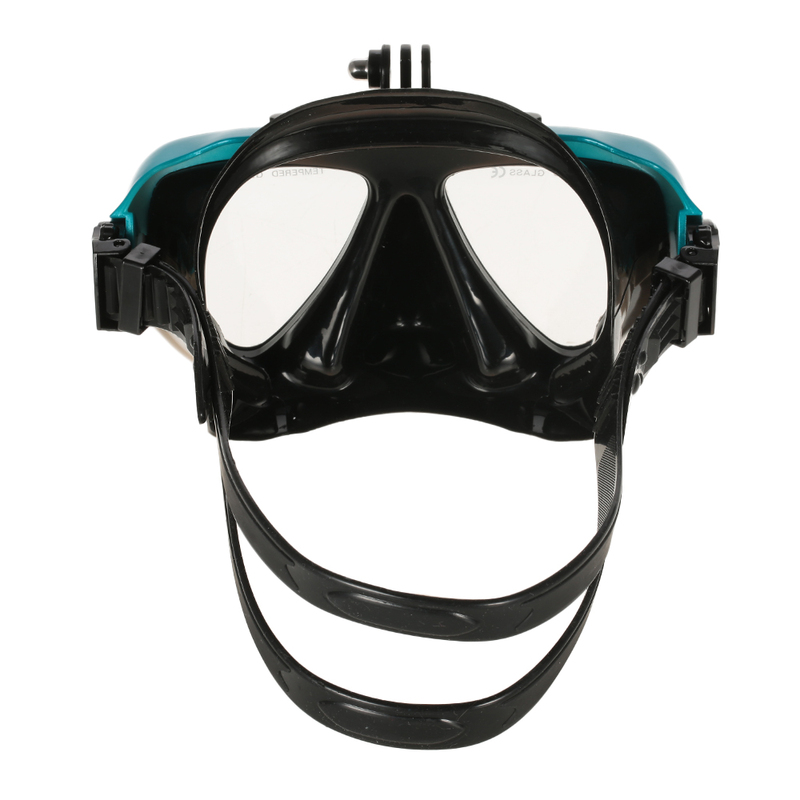 And the shatter resistant mask provides great visual clarity, secure and comfortable fit and water-tight seals, a special mount provided for holding cameras, etc..
Dry top closes the entry while submerged to minimize the water entry. 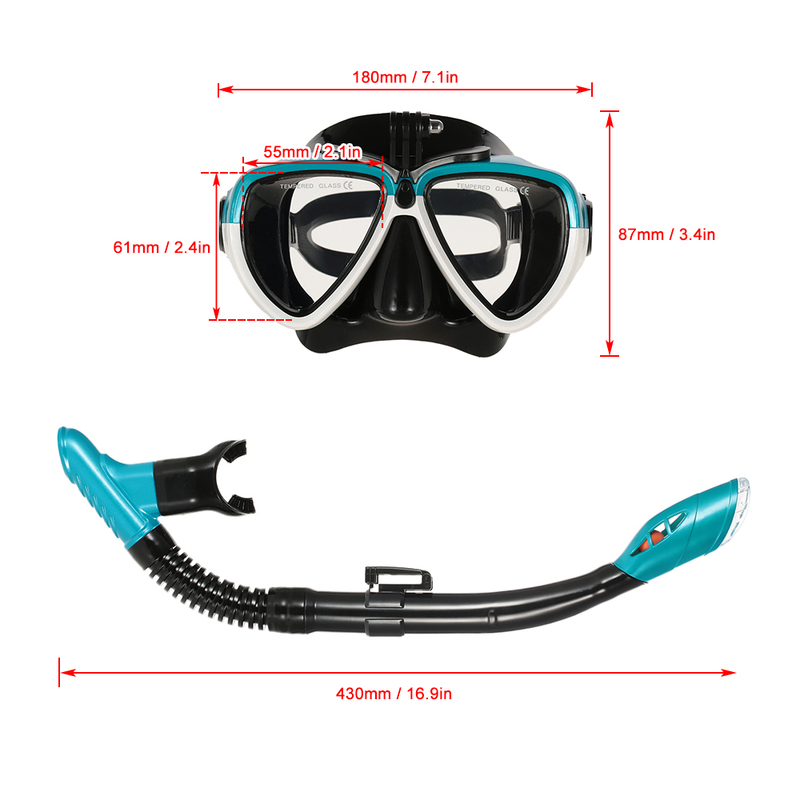 Silicone corrugated hose and angled mouthpiece for convenient and comfortable fit. One-way purge valve allows easy water clearing and sand guards. 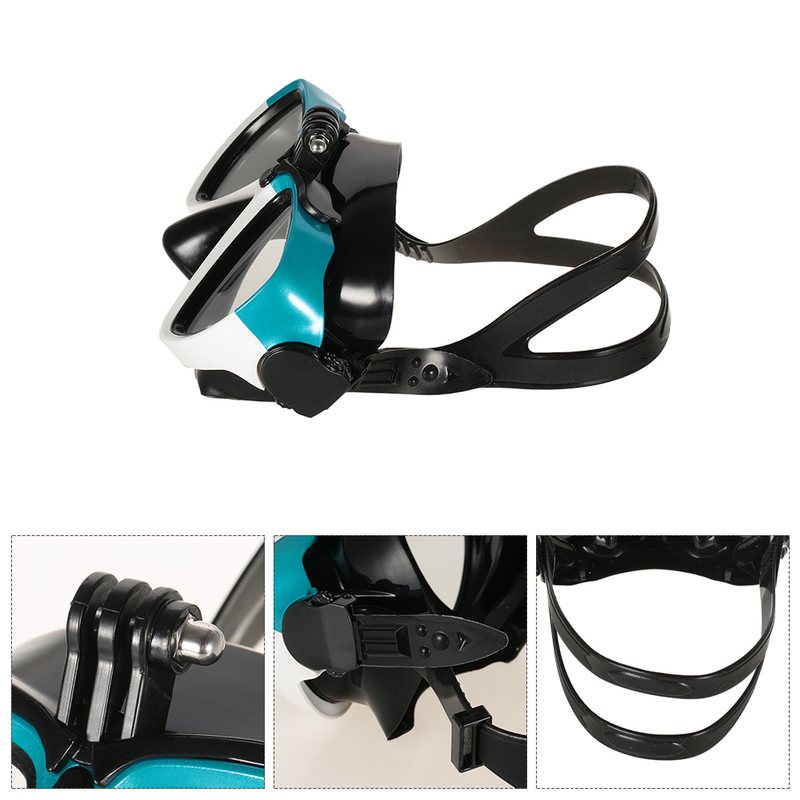 One-handed adjustable clip to connect or disconnect your mask. 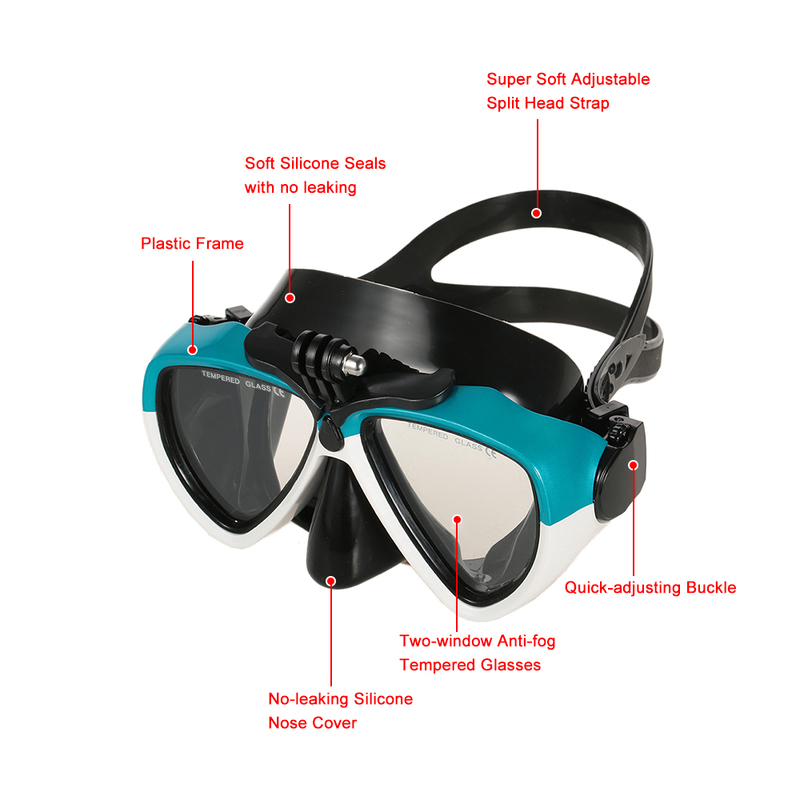 Two-window tempered glass lens for the expanded and superior field of vision. 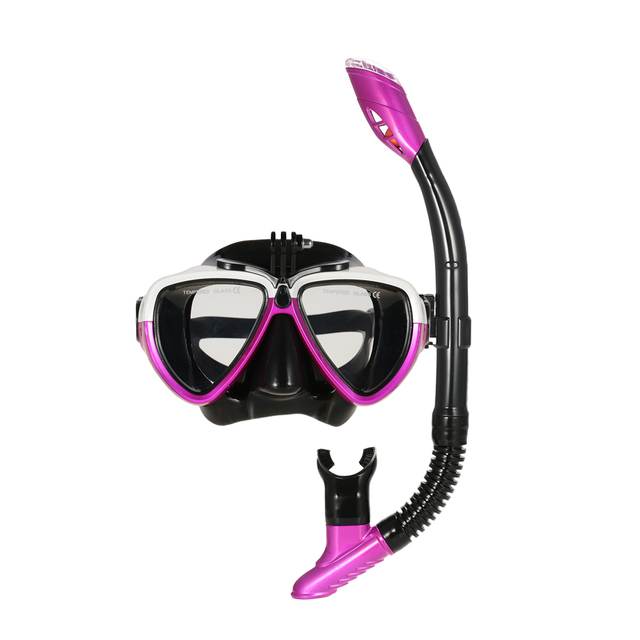 Comfort-fit soft silicone skirt for the water-tight seal. Split adjustable silicone strap for comfy security. 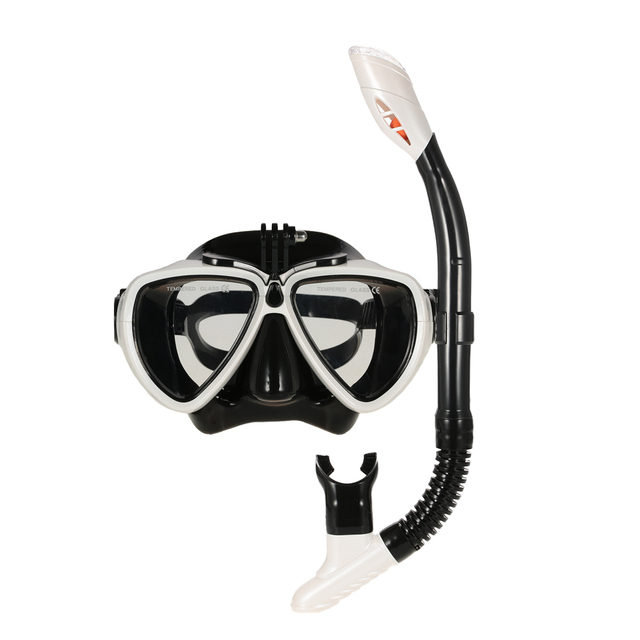 Attached mount specially designed for carrying camera under the water. Optimum rigidity and support for the snug fit. Excelente! !vendedor 100% recomendable en atencion, calidad y tiempos de entrega. Increíble! !